Birthdays, weddings, retirements, promotions, showers, and everything in between! 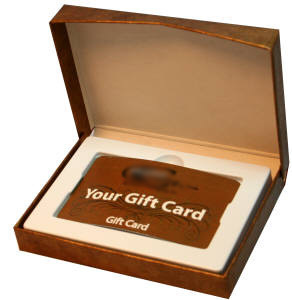 Whatever the occasion that you want to give a gift card you'll find just the right gift card box here. 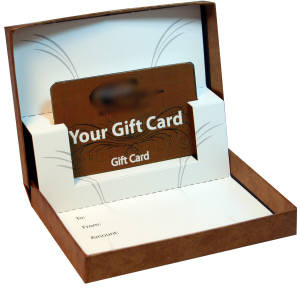 Our patented Gift Box Cards for any occasion are available in very impressive designs. Very striking prints and cool solid colors will set the tone of you gift card. From simple elegance to whimsical fun is found in our 34 brilliant designs. Choose from our two 8 pack collections or the convenient 25 or 100 packs. All designs are available in our patented pop up design as seen on the right picture above or our tradition lay flat design. We can also custom print these boxes with your company's logo or a design all your own. Call 305.722.0110 extension 250 for details.